Always we speak about the important thing that is to spread the architecture and of bringing it over to the company, because of it today you let’s sense beforehand another divulgative project across a less “conventional” way, the podcast, but not for less relevant it. For fortune we have not us had displace very far to chat with Juan Ortiz, on his project “La morsa era yo Arquitectura”. 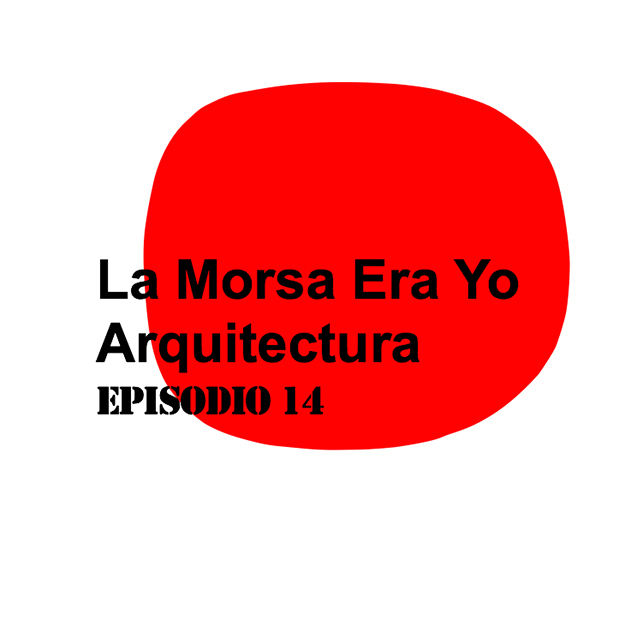 “La morsa era yo Arquitectura, is a gathering between architects in which we chat on those topics of this discipline that us apasiona and we understand they can ensue from general interest”. 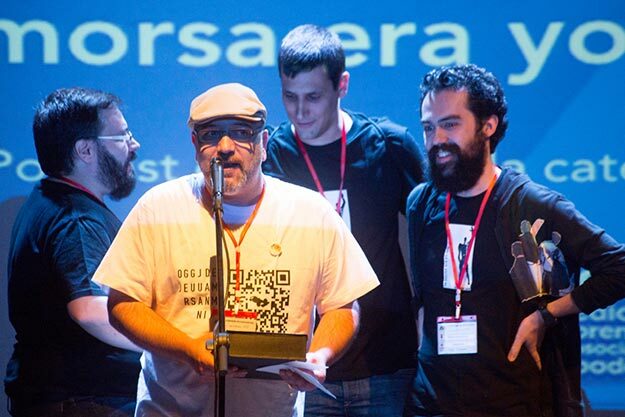 This initiative led by Juan Ortiz and that possesses the participation of Alberto Fortes, Cristina Martínez, Deco, José Basso, Luis Sánchez Blasco and Luis Santalla, recently he has been an award winner in the VI Premios Asociación Podcast in the category of Art and Culture. If you are I irritate or you want to listen to the engraved episodes you them can find in the category of the blog Podcast LMEY Arquitectura. We stop with the gathering that we have supported with Juan. Which has been your formation and professional path previous to “La Morsa Era Yo Arquitectura”? 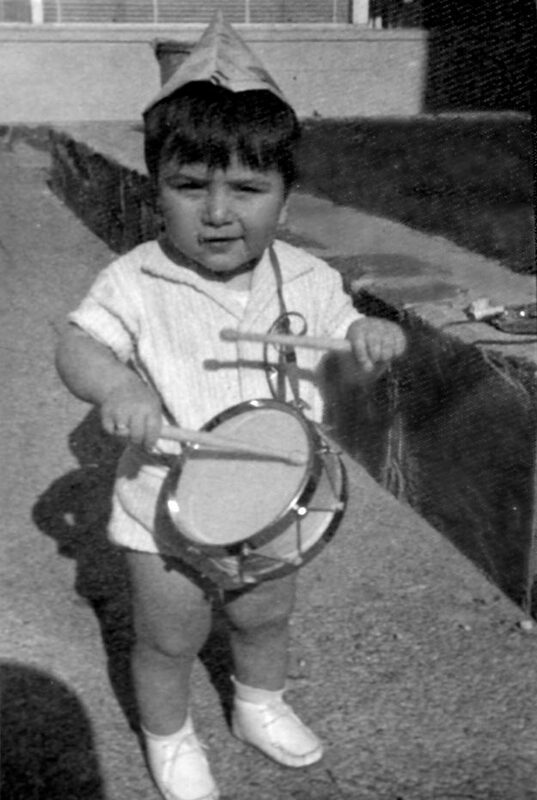 I put to work very soon, a couple of years after beginning the career, because I wanted to become free economically. I did many things, from monitor of activities of free time to assessor and collector in a store of parcel service. Until I began to be employed at a study. Initially he was throwing a hand in everything, but with the time I took charge especially of projects of urbanism that is what more I enjoy the architecture. I remember specially that of Miño, where during one of the public exhibitions I had the opportunity to explain in situ the plan to the people who was approaching to ask there. But looking behind, it was a mistake to begin to work so soon. The career and therefore the title was late very much in coming. Those that they me ask, always I advise not to bring together studies with work. 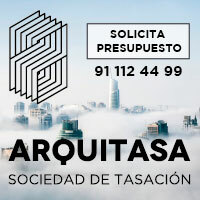 A today I arrange to be self-employed with La Morsa, and collaborate as volunteer in Architecture Sen Fronteiras Galicia, where I am the person in charge of the group of communication beside taking part in that of education for the development. Explain to us, how and why it arises “La Morsa Era Yo Arquitectura”? Why this name? ‘La morsa era yo Arquitectura’ in his origin it was a question of my personal blog. 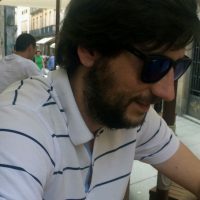 It was not my first blog, already it had had others but all on very specific topics, and was beginning in there is absent the freedom of writing of what was giving to myself the desire. To explain why of the name I would remove enough time. It has to see with the song of the Beatles I am the walrus. I was delighting for the personal project that it had in mind. 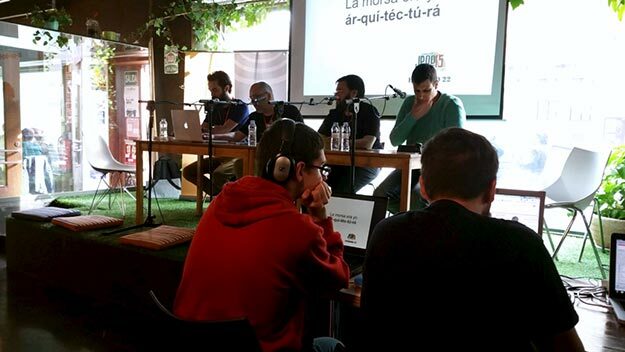 But the podcast of architecture came soon and fagocitó the blog. And in addition the format for which we choose ultimately is not the one that was imagining exactly. ‘La morsa era yo Arquitectura’ it is a collaborative project to 100 %, and I am not sorry that such a personal name does justice to him. But we have taken fondness and this way it is going to remain. Why in format podcast? Had you some previous experience in this world? Me apasiona the podcasting. I record podcasts, but especially I am a listener of podcasts. I listen to many people. If you see me only almost sure I will take the put earphones. I have learned and enjoyed so much listening people as the Buhardilla 2.0, one of the clearest modals of The walrus, which was feeling the need to return all that that was taking me. In 2011 Desde Boxes it invited me to take part in a special episode end of season, and this day was a master class of how a podcast is recorded. Curiously I began to form a part of him this 2015. With the learned I convinced the people of Wikietsac, another collaborative project that we develop in the ETSAC, it was recording one. They were only 5 episodes. Then I decided that it wanted to record a podcast seriously, and that had to be on architecture. But he was claiming that it was something with a qualit minimum, for what I began to record in solitarily The micropodcast de La morsa era yo Arquitectura was I as learning. Not only to practise how to speak in front of the mike, but what supposed lodging a podcast in an own servant, creating the feed to hand, etc. In October, 2013, when he was feeling that it was prepared, I called Alberto, Cris and Luis Santalla, that already they had been in Radio Wikietsac, and they signed to the car. We it interview Luis Sanchez Blasco in the second episode, the really joint first one, which since then formed already part of the equipment. Deco and Jose Basso joined the project a few months later. When you throw to a project that you apasiona, the difficulties exist but it you can the illusion and the desires of it the better thing does that you could. In addition the podcasting in Spain has created a luck of community that will have his more and his less, but always it is opened when threw a hand to everything the one that asks or asks for help. The majority of technical difficulties and of publication was solved by me while it was recording the micropodcast. I was worrying, and it worries, the quality of the sound. It is something very changeable depending on the circumstances, the microphone that you use, etc. Nobody is going to listen to you for well that sounds your podcast, but yes they were stopping doing it if it sounds badly. A today what us turns out to be more difficult is to support the periodicity of an episode a month. For it we have to fit dates and are six each one living in a different city and with two different time slots. Are you satisfied with the reached aims? 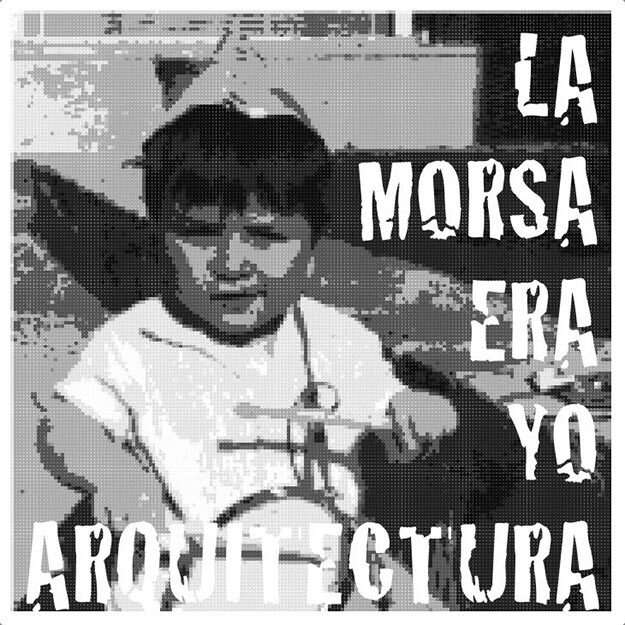 What expectations and projects of future you have for “La Morsa Era Yo Arquitectura”? Very satisfied. The only initial premise that we appear was to bring the architecture over to the public in general. To speak about her in a normal way and not with this refined language that often characterizes the architects and arquitectas. When last year we gain the prize of the Association Podcast I remained amazed, the news for me is that it had gained a podcast of architecture. Yes, of architecture. And we have turned it to winning this year. What really I value of these prizes is to verify that this initial premise at least partly we have fulfilled it. Thinking about the future we do not put on period. The only thing that we have the clearest is that we want to continue recording. Nevertheless we are conscious that there are things to improving. We have earring the stayed one of ours but not to record, but to speak about the topic strictly between ourselves. Are this type of initiatives profitable? Do you feel good remunerated by the labor that you realize? To record the podcast a today not only costs us time but also money. How monetizar the podcasting is the major topic for year and a half inside the union. There will come one day in which beech professionals who could live of this, but a today I would content with covering expenses, which nothing was finding it hard to us to produce the podcast. And already put, that we could come to certain events as Podcasting’s Days without the pocket scratching itself. Some sponsor in the room? But yes it turns out to be profitable, certainly. To part of the visibility that you obtain, of the personal satisfaction of doing something that you like and of the response of the listeners that often it is what makes you happy the day, thanks to the podcast I have known people whom probably I would dare to greet in other conditions. To say that you are in The walrus was I it acts sometimes of safe conduct in this respect, though the one who is to whom you go does not know the podcast. For example, he was reading and I read with admiration Jose Ramon Hernández Correa in his Arquitectamos locos? Since now occasionally it passes for La Morsa. For me he and Hans Brinker form a part of the equipment though still we have not discovered the way of integrating them of permanent form. With them we would be eight and the episodes already approach or exceed. I am of this that do not know what is to get bored. Every time I dedicate more time to my labor in Architecture Without Borders. I proposed them to record a podcast on the organization and already we take two episodes of Habitando. As I commented, also I take part in Desde Boxes, through which not only of architecture the man lives. Beyond the mike, I collaborate in Cosas de Arquitectos though already some time ago of the last article, thing that I try to solve shortly. How do you see the future of the podcast? The podcasting has his insured future. Almost the whole world transports the whole day the best breeding animal of podcasts that has been invented. And it is not even conscious. I ignite the mobile, open my podcatcher and only I have to choose what I like to listen because without me to touch nothing they have disburdened the new episodes solitos. It has contained of quality and the necessary technology is not necessary to buy it because already we have it. If you that you are reading this article use the telephone for something more than the whatsapp, give him an opportunity to the podcasts of house to the work, running, walking or while you do the food. It is addictive. Do you think that to study Architecture is been to fundamental passport to have he eats to your current work? Yes, undoubtedly. I admit that what I wanted to do was to pilot planes. But come the moment when I tried it could not be. I it do not miss. Apasiona the architecture and I delight the way that we have the architects and arquitectas of confronting the problems. A way of operating that it spreads to the life in general beyond the profession. I am very critical with the type of education that I received in the career, but nonetheless the step along the school has been fundamental. I am a rare insect, consider my house to be the ETSAC. When I rise even there, sometimes I am surprised touching with the palm of the hand these walls of concrete. Ojalá was recording more podcasts of architecture, we feel a bit alone in this. In Spain, or for Spanish, only I know Un minuto en Nueva York. Scalae and Planeta Beta were, but the first one almost does not publish and the last one already does not do it. Who one wants to initiate in this of the podcasting, is going to record on architecture or on any other thing, it would advise him before be throwing to listen to many podcasts of varied subject matters and different durations. It is learned very much if you put attention to how it is done beyond the content. And that when it is thrown does not hesitate to ask the doubts that him arise, to us or to any podcaster who listens habitually. Dpo you think that the architects in Spain we should continue opening new routes of work to go out of the most “traditional” cabin of projecting given the current situation of the construction in our country? Sometimes I think that the good only thing that has brought the crisis of the sector is to demonstrate the expired of the traditional system of architect – study. We were very comfortable applying the same formulae again and again. The problem is that in the school only they have prepared us, and I am afraid that the situation in this has not changed, for this model. To be reinvented can turn out to be traumatic, but simultaneously it is an opportunity to rethink which is the paper that should play the architecture in the current company and act in consequence. Everyone who appears how it him can be useful to the company and simultaneously it could gain the life with it. One runs the risk on having appeared this question of forgetting that the one who leaves is a person. There is no place to generalizations. But there are things that they infuriate very much, like to listen to certain politicians inviting the people to emigrate. Yes, it seems that what more worries him to the profession is all that that wraps it and that it does not have to see with the architectural practice, in spite of contributing our grain of sand in obtaining a worthy habitat where to live. I do not say that these topics are not important and they let’s have to dedicate what is necessary, but I prefer focusing my energies towards other goals. I identify with the values that are breathed in Architecture Without Borders. I am optimistic for nature. I appear the crisis as an opportunity to improve. I trust fullly in that the new generations concentrate on new models as the experiences of the network Arquitecturas Colectivas. I believe that this it is the course to taking at this moment. What do you advise the current students and future professionals of architecture? To finish, what projects of future do wait for Juan Ortiz? And to “La Morsa Era Yo Arquitectura”? There is a couple of things that flutter for my head, but still they have not taken form. The walrus has little more than two years and I do not want to put hurry. I believe that lacking him other one to mature. In any case it is a collective project and mine is an opinion of weight, but only one more. Interview realized by Ana Barreiro Blanco and Alberto Alonso Oro. To be grateful for Juan his time and predisposition with this space.